This park rejuvenation transforms an ordinary playground into one of delight and excitement. 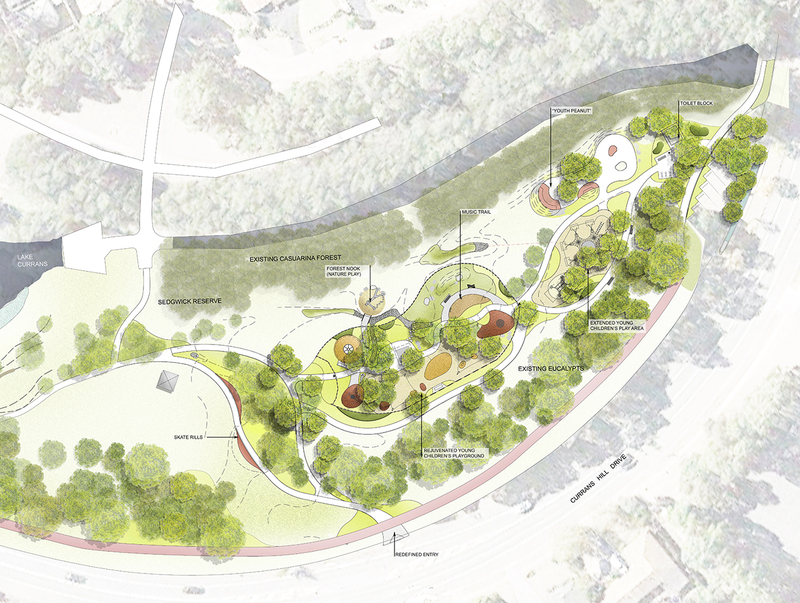 Innovative landscape responses create thoughtful and imaginative experiences that respond to and enhance the existing character of the park, redefine the landscape spaces, create more variety in “play” for the young and youth, add greatly enhance the park’s legibility and sense of place. As the emphasis on the park is for the younger generation, the existing fencing was extended out more generously beyond the existing playground area to incorporate more interesting landscape spaces within in, including an irrigated mound, music area and woodland trees. 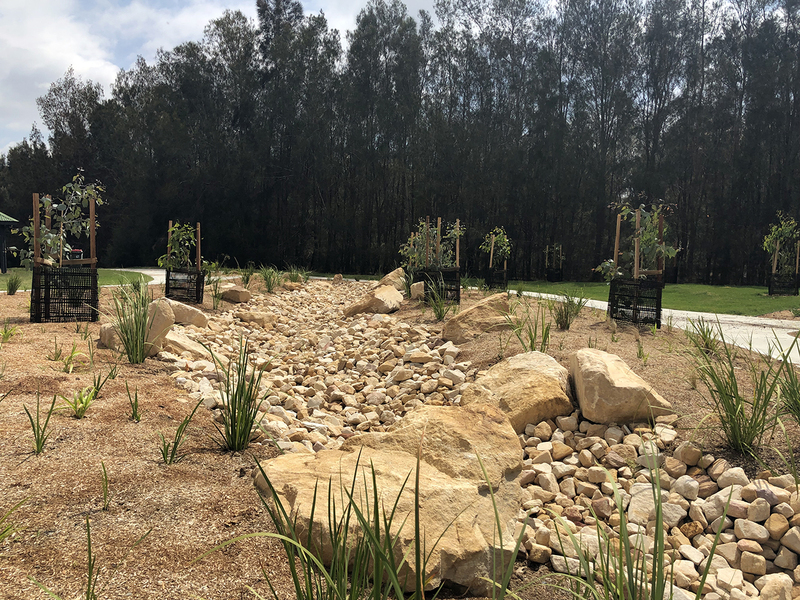 Design improvements to the play facilities added more ”natural play” opportunities, textured landscape plantings, new shade structures, additional benches and picnic tables to improve the amenity for carers and parents. A youth peanut provides a multipurpose meeting place for teens with good visibility, and integrates skatable elements. Skatable rills are also integrated in the pathway design, maximizing changes in level. The existing picnic shelter within the play area was relocated to Harrington Reserve project. A new address to the park is created adjacent the new carpark, along with improved entrances to the south off Currans Hill Drive. Planting design to reinforce the existing Cumberland Woodland character enhances pathways, entrances, and integrates water sensitive design.